The 4-star Servigroup Castilla hotel's location gives you the opportunity to enjoy the best of both worlds. 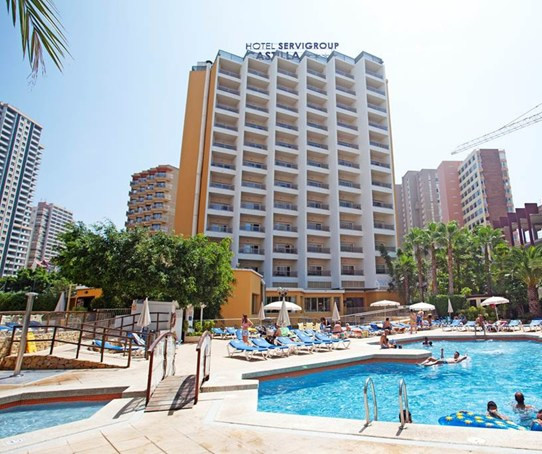 The hotel sits in a quiet location close to the old quarter and yet near enough to the lively resort centre of Benidorm with its shops, bars, restaurants and nightlife. The golden sands of the Levante beach are only around 500 metres away. The transfer from Alicante is around an hour to an hour and a half by coach depending on traffic. There are 132 comfortable rooms at the Servigroup Castilla Hotel which can accommodate singles, couples and families. They have a cheerful and welcoming decor with pastel shades, modern wall features and light wood furnishings. Rooms have cool tiled flooring and facilities for your convenience including; a private balcony, air conditioning/heating, private bathroom with hair-dryer, free Wi-Fi, flat screen satellite TV with music channels, direct dial telephone, mini fridge, safety deposit box (supplement). Servigroup hotels are well known for the quality and reliability of their food, and this hotel is no exception. Buffet meals are taken in the stylish restaurant with a choice of top quality products with high standards of food preparation. Local and Mediterranean cuisine are supplemented by theme dishes prepared daily by the hotel's own cuisine team! Vegetarian and celiac (please inform us before travel) choices and desserts are also available. 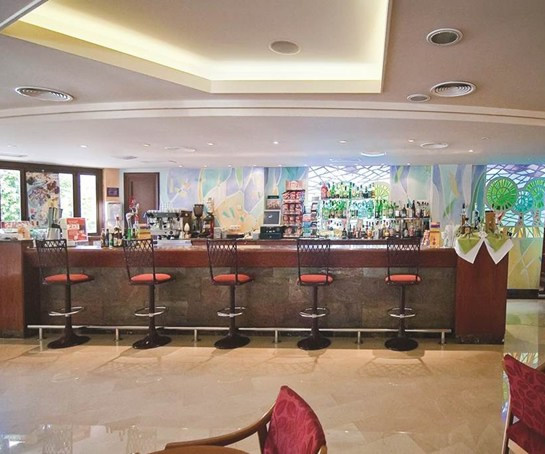 Guests can enjoy a cool drink or too in the lounge bar. 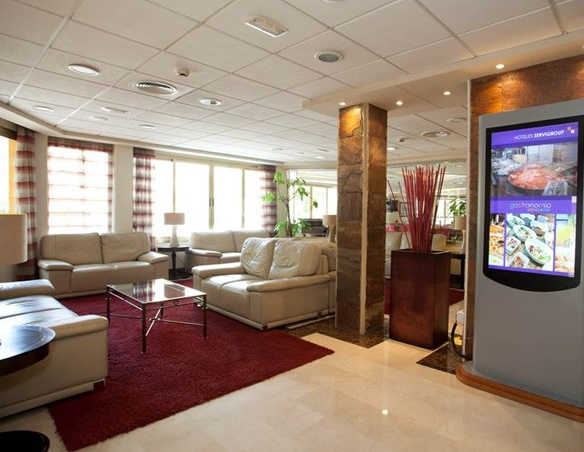 The Servigroup Castilla has a range of amenities as you would expect from a 4 star Benidorm hotel. There is a large swimming pool, children's pool, ample sun terrace, gardens and children's playground. 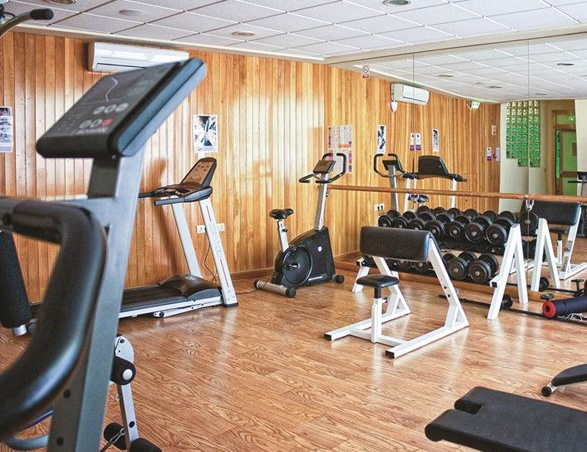 There is also a meeting room, a free gym, TV room, sauna (supplement) and free Wi-Fi throughout the hotel. In the summer season the hotel operates a daytime and evening entertainment programme. The hotel has a 24 hour reception service, room service, housekeeping, free Wi-Fi throughout the hotel, internet computer access area (supplement), currency exchange, fax service, laundry service, lifts, easy access for guests with restricted mobility, garage parking available (supplement) and a meeting room. It is also possible to book excursions and rent a car (you can always pre-book your excursions and car rental prior to your departure - please ask us for a quote)!